The Ministry of Health today hosted an official presentation of twenty-six (26) health support vehicles donated by the Government and people of the United Arab Emirates, Dubai. The presentation was done at the compound of the National Engineering and Maintenance Center Compound in Belize City. 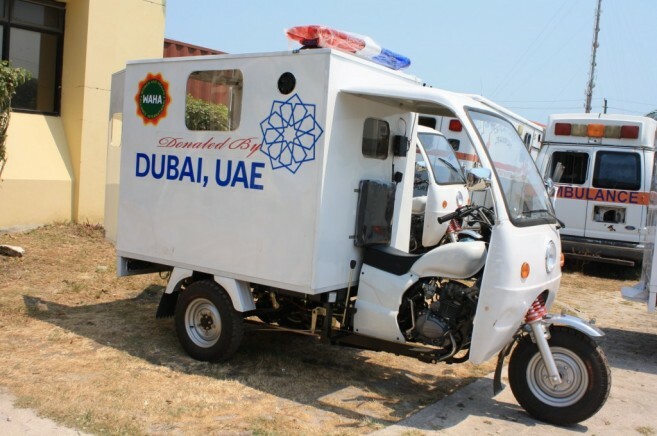 The health support vehicles valued at BZ$300,000 are three-wheeled motorcycles with an attached covered unit equipped with seating and a stretcher to transport patients. 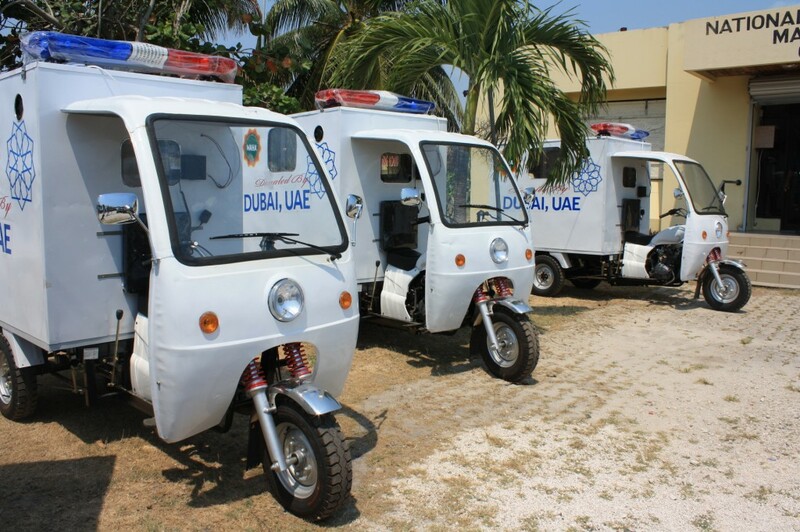 The vehicles will not be used as a replacement for conventional ambulances but will support the Ministry in the transportation of patients for healthcare services and coordinated assistance with our partners at health promotion events, social events, mobile clinics use and home visits. The vehicles will be distributed to identified priority regional and community hospitals across the country where there are transportation and logistical challenges; and also to areas that have a more dispersed high risk population group. On hand at the presentation were Minister of Health, Hon. Pablo Marin, Minister of Tourism and Culture, Hon. Manuel Heredia Jr. and other health partner officials. The Ministry extends its gratitude to Minister Heredia and the Attorney General and Minister of Foreign Affairs, Hon. Wilfred Elrington for their support in this initiative.